In the wake of the Scotland Ban on Underground Coal Gasification, the spotlight is now on the Flinders Ranges and the champion of the NO UCG campaign Mark Parnell, leader of the SA Greens. On the Greens website the NO UCG Campaign has greater relative momentum than the NO Nuclear Waste Campaign, petition numbers approaching 500 in two months compared to the No Waste petition which has 1300 signatures over twelve months. “Australia has been home to three principal UCG projects. They were all in Queensland and they have all ended in charges of environmental damage. Recently, major contamination of groundwater and soil caused by Linc Energy’s UCG trial project near Chinchilla, was described by the Queensland’s Environment Minister as “the biggest pollution event probably in Queensland’s history…certainly the biggest pollution investigation and prosecution in Queensland’s history”. This disaster resulted in a decision in April this year by the Queensland Government to ban UCG. Moratoriums are also in place in Scotland and Wales in the UK. Not specified in this background coverage of the issue is that previous environmental manager of Linc Energy, Justyn Peters, was prior to this position an environmental inspector with the Queensland EPA, a jaw dropping aside not investigated or reported on by mainstream media. “Like a bad zombie movie, the undead have come back to haunt us. Members will remember Marathon Resources Limited. That is the cowboy mining company that was sent packing from the Arkaroola Wilderness Sanctuary five years ago after trashing the natural environment. They are back. Quietly rebranded as Leigh Creek Energy Limited, they now want to get into the UCG business, that is, underground coal gasification. It is nasty, polluting and dangerous, which is why it has been banned in Queensland. 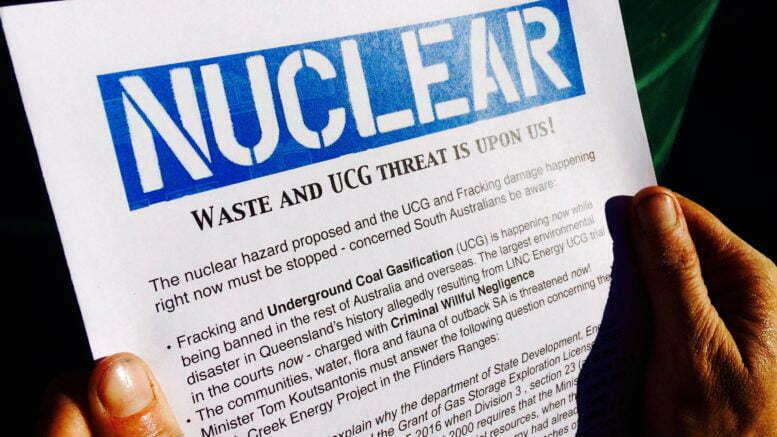 While the momentum now builds to have this experimental and evidently dangerous practice banned across the whole of Australia, the residents of the Flinders Ranges have voiced a clear message of NO UCG thanks to the government and the current proponent of the yet to be approved Leigh Creek Energy Project. Business affiliations between the project management and the ill fated Linc Energy raises the stakes as the Queensland Government contends with the issues arising from the companies shrewd wind up to avoid paying the tab for what the Queensland Environment Minister dubbed the greatest environmental disaster in Queensland history. While the story of the historic and key prosecution was covered by the ABC and Queensland media there has been a media silence concerning the progress of the adjourned case which was to resume on October 19. After months of uncertainty following legal challenges presented by the drilling of test holes on a prescribed Aboriginal Heritage site, Leigh Creek Energy has against the odds and the Act negotiated a work site clearance agreement with the Adnyamathanha Traditional Lands Association. However, despite this small and controversial step forward the market seems unimpressed and remains in the doldrums as global UCG operations are banned. The requests for the Anggumathanha Camp Law Mob (ACLM) to the Minister to prosecute the company for damages to the protected site raises interesting questions concerning the Native Title process and the representation of one group that has site protection in mind versus another group ATLA that has something else in mind, contained within an agreement not accessible to the public. How such agreements come into place just a week after unanimous community agreement that NO UCG is wanted in the Flinders Ranges may bring the integrity of community consultations of a closed nature into question. Why it’s taking so long for South Australia to follow the lead shown by the rest of Australia and the world is another question. Local representative for the concerned Flinders Ranges Communities, Dan Van Holst Pellekaan, is reported as not showing an interest nor are any other members of the SA parliament putting their hands up so far to support the Greens Leader Parnell, to date a lone dog in parliament pursuing a course to protect the environment and the people of the state from another impending UCG disaster. The National Day of Action which saw a crowd of over 3000 was well represented by the NO UCG Flinders Ranges Communities which distributed thousands of media releases reinforcing the message that while the Nuclear Waste horror looms overhead, UCG and fracking is happening on the ground right now. The latest ABC media release is most interesting as the prior Enviromental Manager of Linc Energy, previously an EPA inspector is absent from the list? Editorial correction ( Nov 3) – Apologies to readers and the Local Member Dan Van Holst Pellekan who, a reader claims, is assisting the local communities and has provided a copy of a letter (name withheld on request). 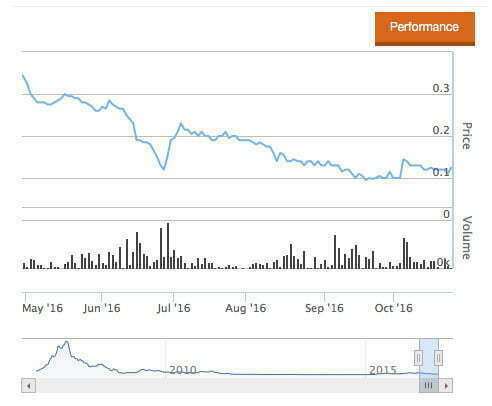 A news update: After the investment in LCK by New China Energy the share price of Leigh Creek Energy has surprising plummeted from 22 cents to 14c (May 15 2017) . A reader has sent this link which may go some way to explaining the further spiral down in LCK prices…the reader suggests the successful prosecution to date of Linc Energy Queensland in the wake of the Chincilla Underground Gas disaster – the largest environmental disaster in Queensland history is sending a bleak message to shareholders and a caveat for the SA regulators that would risk much to further permits on an unproven and yet dangerous gas extraction technology. On 13 May 2016, the Department of Environment & Heritage Protection (respondent) issued an environmental protection order (EPO) under the Environmental Protection Act 1994 (Qld) (EPA) to Linc Energy Ltd (Linc) whilst it was in administration. The EPO prohibited Linc from disposing of, and obliged Linc to maintain, the infrastructure on the site necessary to ensure compliance with the EPO. Liquidators were subsequently appointed to Linc. On 30 June 2016, the liquidators gave notice under section 568(1) of the Corporations Act 2001 (Cth) (Act) disclaiming property which was subject to the EPO. The liquidators argued that the effect of the disclaimer was to terminate Linc’s interest in, and liabilities in respect of, the disclaimed property and thereby discharged Linc’s future compliance with the EPO. The liquidators applied for directions under section 511 of the Act that they were justified in not causing Linc to comply with the EPO. Central to their argument was that any liabilities arising under the EPA to comply with the EPO are inconsistent with the termination of that liability arising from the disclaimer scheme under the Act. The liquidators argued that the Act prevailed over the EPA to the extent of any inconsistency. Section 5G(3) of the Act provides that where a direct inconsistency exists between a provision of a State law and the Corporations legislation, the State law will apply only where the State provision operated, immediately before the Act commenced, despite the operation of the Corporations Law of the State (in force at that time). 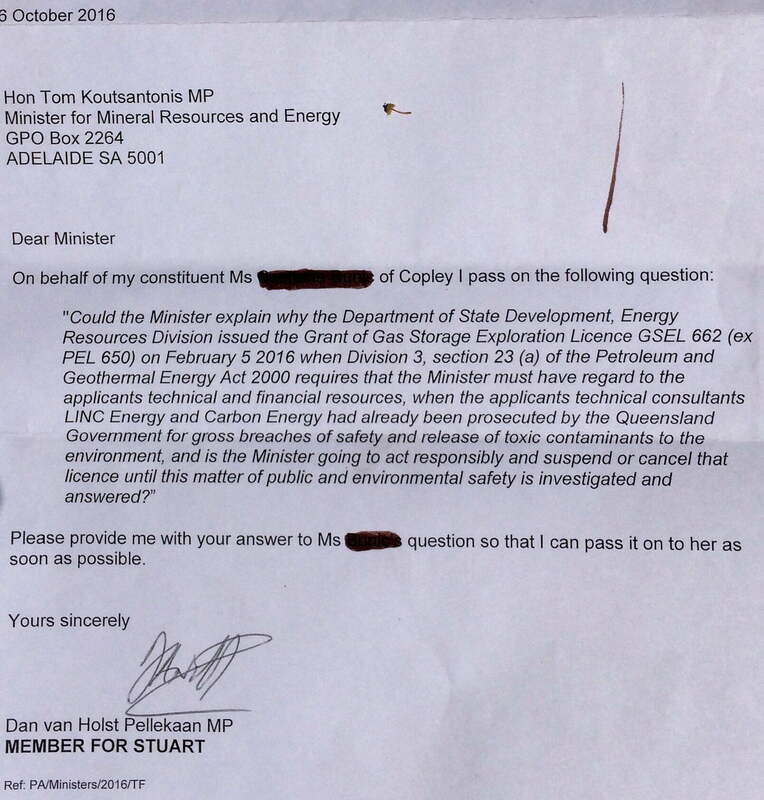 The relevant law of the State is sections 358 and 361 of the EPA and the Corporations Law of the State is sections 568 and 568D of the Corporations Law of Queensland (as it then was prior to the enactment of the Act). The respondent relied on section 9 of the Corporations (Ancillary Provisions) Act 2001 (Qld) (CAPA) under which any relevant law of the State that is inconsistent with a provision of a national scheme law has effect despite the provision of the national scheme law (i.e. the Act). The relevant test to determine whether provisions are inconsistent is a question of whether the State law would “alter, impair or detract from the operation of the law of the Commonwealth Parliament”, under section 109 of The Constitution. The relevant provisions of the EPA oblige Linc to comply with the EPO (and create liability in the event of non-compliance) in respect of the disclaimed property in a way which would be directly inconsistent with the liquidators’ power to terminate Linc’s interest in and liabilities in respect of the disclaimed property under sections 568 and 568D. Accordingly, section 9(1) of the CAPA declares the provisions of the EPA to operate despite the provisions of the Act. The Court also noted that the liquidators were personally liable to see that Linc complies with the EPO, given they would be considered an “executive officer” of Linc under the EPA. WERE THE LIQUIDATORS JUSTIFIED IN NOT CAUSING LINC TO COMPLY WITH OBLIGATIONS UNDER THE EPO? The Court directed the liquidators were not justified in causing Linc not to comply with the EPO. The relevant provisions of the EPA under which the EPO was issued had the effect of impairing the liquidators right to disclaim property under the Act. The effect of this decision will see the costs of complying with an EPO ranking ahead of the typical priority claims under section 556 of the Act. This case identifies a specific scenario in which the liquidators’ power of disclaimer could not be used to avoid an environmental protection order. The Court has noted that the effect of this direction is confined to the specific set of facts and may not be helpful for other facts or provisions. However, liquidators will need to be mindful of any similar environmental protection orders or powers in the future to ensure that there is sufficient funding available to comply with these types of environmental obligations rather than rely upon their power to disclaim the relevant property. A notice of appeal was filed on 10 May 2017, so watch this space.